Rami Malek not only won the Best Actor award at the recent Oscars but also won millions and millions of hearts. The actor's win is a landmark. Well, today the actor is trending on the internet for very very different reasons, which goes on to show us yet another example of the beauty of the digital world. The actor features in a commercial for a product, and lists down the things he is a fan of. 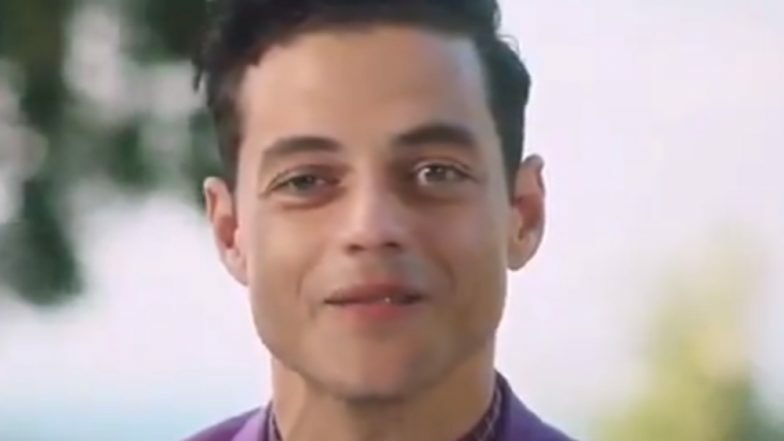 The internet found the video to be utterly funny, as Rami brought zero acting abilities to the table in this video. Rami was so monotonous, that a Twitter user compared him to an animatronic running out of battery. One thought he looked creepy enough to pass on as a serial killer. One went on to say that the actor looks like smiling physically hurts him. One said he looked like a Bond villain, which actually makes sense since he is really in talks to play the next one. why does rami malek move like an animatronic that’s running out of battery? Rami, 37, won his the Oscar recently for his portrayal of flamboyant singer Freddie Mercury, born Farrokh Bulsara, who fronted British rock band Queen, in the movie, Bohemian Rhapsody. It is a landmark win because, it is also the first time an actor of Arab heritage has bagged the Best Actor award. Lupita Nyong'o Approached To Play Bond Girl For Daniel Craig And Rami Malek's Bond 25?